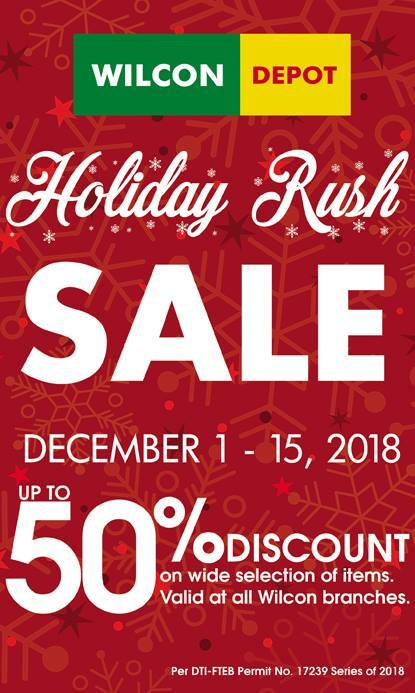 Wilcon Home Depot's Holiday Rush SALE happens until December 15, 2018. Get up to 50% discount on a wide selection of items. Head over to your favorite Wilcon Home Depot now!